At the age of 90, Max went into the presence of the Lord at McKee Medical Center surrounded by his wife, children, grandchildren, and great-grandchildren. Max had the pleasure of meeting his newborn twin great-grandchildren, Ivy and Ezra Rodgers, born March 21, 2019 at McKee, before he passed the following morning on March 22, 2019. Max Eugene Rodgers was born in Brunswick, Missouri, August 8, 1928 to the parents of Fredrick and Lucille Wolfe Rodgers. He lived a happy and adventurous childhood in Council Bluffs, Iowa, where he sang in school and church groups, enjoyed hunting small game with his dog, rode streetcars, and loved large family gatherings. He mastered the trombone at age 16, and played in school bands, dances and social functions around Omaha and Council Bluffs, and was accepted into the Omaha Symphony Orchestra. Three days after graduating from Abraham Lincoln High School in 1946, Max followed in the footsteps of his father, a WWI Purple Heart recipient, his uncle Chester Rodgers, his cousin Marion Rodgers, and brother-in-law Charles Smith, and joined the armed forces. Max enlisted in the Marine Corps in 1946, and was sent to Guam, Saipan, and Pearl Harbor as a Patrol Military Policeman to protect and secure America’s position in the Pacific, and was honored to be a part of sending fallen soldiers home to their families. After being honorably discharged, he returned home to Iowa and entered the shoe business. He met and married the love of his life, Mary Elizabeth Turner, on March 30, 1952, in Centerville, Iowa. Max, his wife, and young son moved to Colorado in 1952, where he successfully owned and managed Brown's Shoe Fit Company of Loveland, until his retirement in 1988. Alongside his wife, Max lovingly raised and educated their four children, Steven Rodgers (Elizabeth), Deborah Miller, Cynthia Towne, and Jeffrey Rodgers (Traci), in Loveland. Max's hobbies included all sports, but fishing, biking, and golfing were his greatest pleasures. Max was an active member of First United Methodist Church in Loveland, where he faithfully served and attended for over 60 years. 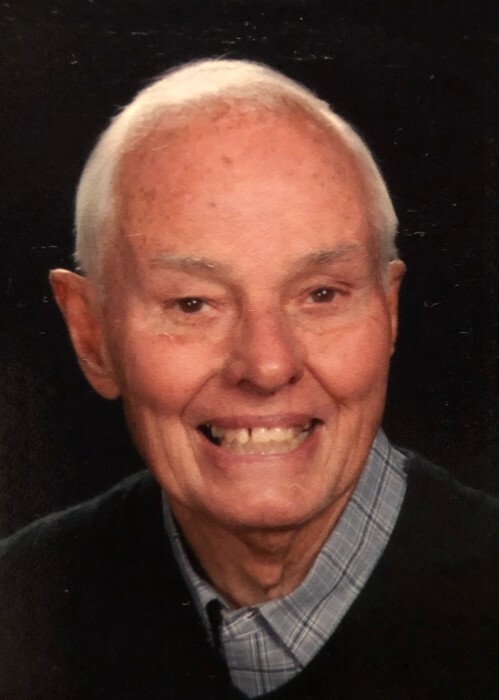 He was a life member of VFW Post 41, charter member of the “Red Coats,” a welcoming committee for the Loveland Chamber of Commerce, active in the Loveland Lions Club for 25 years and past president of the Downtown Merchants Association. Max is survived by his wife of 67 years, Mary Beth, his 4 children, 11 grandchildren, 8 great-grandchildren, sister, Sharlene Perkins, and nephew, Alan Smith.